A joint development project (JDP) agreement was signed by Samsung Heavy Industries' Jin-Taek Jung (left) and Wärtsilä's Timo Koponen on 3 April. Kalmar’s machinery is heading to Australia. First to Ramirent, which will acquire Stavdal, a leading Swedish general equipment rental company active in 11 cities in Sweden and in the Oslo area in Norway. The enterprise value of the acquisition is approximately 158 million euros, while the debt-free purchase price will be paid with 124 million euros in cash and close to six million shares in Ramirent. Then on to Caverion, which has signed a five-year managed services agreement for a new building complex, The East, in Frankfurt am Main in Germany. The agreement with REX-The East SARL covers a wide array of services, such as technical maintenance, effectiveness, usability, safety, upkeep and winter services. The agreement’s value has not been disclosed. 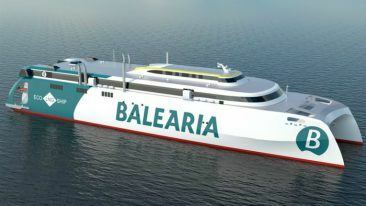 Next in line is Kalmar, which will supply industrial machinery around the world. 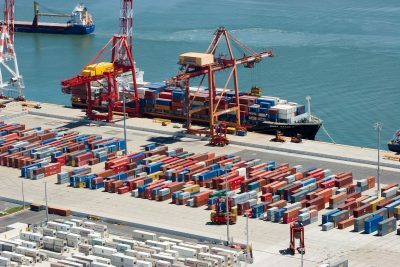 The Cargotec subsidiary will deliver three electric terminal tractors to the new distribution centre of Mexican bakery product manufacturer Bimbo in Azcapotzalco, 12 diesel-electric straddle carriers to terminal operator Patrick Terminals in Australia, five forklifts to logistics services provider VIX Logistica in Brazil, and 16 terminal tractors to Container Terminal Saint-Petersburg in Russia. 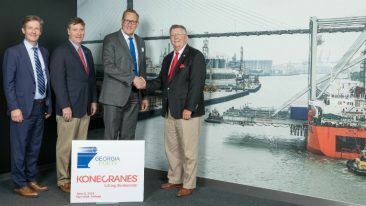 Moving on to Konecranes, which will supply the Georgia Ports Authority (GPA) with 20 RTG cranes for the Port of Savannah, Georgia. The upcoming delivery will bring the total number of Konecranes RTGs at the largest and fastest-growing port terminal in North America to 178. 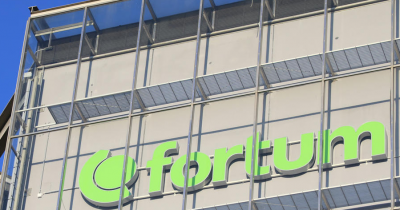 A joint venture of Finnish energy company Fortum and Energy Sales Company Vostok has been selected by Russia’s Ministry of Energy to become the guaranteeing electricity retail supplier for 1.5 million electricity customers in the Chelyabinsk region of Russia. The joint venture was chosen for the role after an auctioning process and after it agreed to fully reimburse the approximately 66 million euros in debt incurred by the previous guaranteeing supplier, Chelyabenergosbyt. Fortum has a decade-long history in the Chelyabinsk region. Next up is Wärtsilä, which has signed a joint development project (JDP) agreement with Samsung Heavy Industries to co-develop more efficient solutions for LNG carrier and shuttle tanker vessels. Overall cost optimisation is among the goals of the project, which will see the two companies trade knowledge and experience. Finally to Valmet, which has strengthened its automation customer support in India with a value-added reseller agreement with Fox Solutions. As part of the deal, Fox Solutions will sell complete Valmet automation packages and provide related services to customers in the power generation and process industries in India. Valmet has also completed the acquisition of GL&V, a global technology and service provider for the pulp and paper industry. The enterprise value of the transaction was approximately 113 million euros, and the acquired business has joined the service business of Valmet. GL&V had net sales of around 160 million euros in 2018 and employs about 630 people.